The Judicial Complaints Reviewer was established under The Judiciary and Courts (Scotland) Act 2008 to review the handling of complaints investigations by the Judicial Office for Scotland into members of the judiciary, to ensure that they have been dealt with in accordance with the Rules. The Judicial Complaints Reviewer ensures that the Judicial Office follows its own Rules - the Complaints about the Judiciary (Scotland) Rules. The service is free, independent and impartial. It is open to those who have complained about the conduct of a member of the judiciary, and to those who have been the subject of a complaint. The Judicial Complaints Reviewer is contracted for up to 4 days per month, with no administrative support. Who is the Judicial Complaints Reviewer? 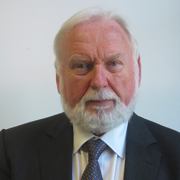 The current Judicial Complaints Reviewer is Ian Gordon, OBE, QPM who took up post on 1 September 2017. Ian is a retired Deputy Chief Constable of Tayside Police. He is currently an Acting Commissioner with the Northern Ireland Public Service Ombudsman Office. He was seconded to HM Inspectorate of Constabulary and was the lead police officer on the annual statutory inspection of five UK police forces, and was a member of the UK Police Professional Standards Group. He has conducted criminal, conduct and complaints investigations in the UK and undertaken enquires abroad on behalf of the Foreign Office. Mr Gordon was also a Convener for the Standards Commission between 2010 and 2017 and contributed to a focused improvement to awareness of the codes of Conduct by elected members and Boards of Public Bodies. What powers does the Judicial Complaints Reviewer have? I review investigations undertaken by the Judicial Office for Scotland to check that they have been carried out in accordance with the Rules and I can make written representations to the Lord President about procedures for handling the investigation of matters concerning the conduct of judicial office holders. The Lord President, who is the head of the judiciary in Scotland, must have regard to my representations. Find out how the Judicial Complaints Reviewer can help. If you're unhappy with the handling of a complaint about a member of the judiciary in England and Wales, contact the Judicial Appointments and Complaints Ombudsman.The Ombudsman has a similar but wider role to Scotland's Judicial Complaints Reviewer.